Turkey will open its border and allow a wave of migrants to flood into Europe unless the European Union pays the entire balance it promised Ankara for taking in millions of refugees, Turkish President Recep Tayyip Erdogan said. “Ask them [the EU]. Did you pay? But Turkey still hosts 3 million people,” Erdogan said, according to EU Observer. “What would Europe do if we let these people go to Europe?” he asked. In March, the EU said Turkey would receive 3 billion euros ($3.3 billion) in exchange for Ankara controlling the influx of Syrian refugees through its border. 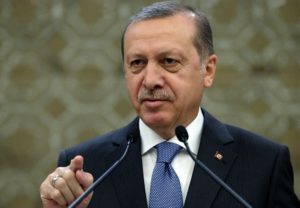 In an interview with German radio ARD on July 25, Erdogan claimed that the EU has only paid 2 million euros ($2.2 million) out of the package deal. “The [European] governments are not honest,” Erdogan said.